I have amazing ideas. All the time. Except when I need them. Am I the only one that walks around having ideas literally bounce off the walls at movies, stores, public restrooms, or parks….only to have them completely disappear when I sit down to write? I’m not kidding. I had some really great ideas for blog posts this week. I remember the feeling of “oh yeah!” as I looked at the bathroom stall door…”I’ll remember THAT one….” Nope. Must have gone down the toilet with everything else. It is really irritating. I used to carry a little book with me in my purse to write ideas down in. That was in my ‘pre-digital’ days when I actually wrote on paper. Now, I will put notes in my phone. At least that is the theory. If I get awesome ideas when my hands are busy doing other things, I can’t write them, or text them down. What’s a girl to do? I have a hard time remembering things if I don’t see them in print. Even then, it is a challenge at times. I once heard that if you want to remember something, you should write it in black and highlight it in yellow. Our brains think that the combination of black and yellow means “important” and we remember it. Isn’t there a song about ‘black and yellow…. ?’ Anyway. Sometimes it works, but most the time I just forget stuff. I was talking to my daughter about something similar to this while we sat by our awesome fire pit tonight. I have been known to call people by the wrong names at times. Sometimes, I find myself thinking about people, using the wrong names in my thoughts. Does that happen to you? I told my daughter that maybe that means I am a shallow person that doesn’t really see these people for who they are, but more as a place holder in my life. Like one of those playing pieces from the game of Sorry. Does that mean I’m a shallow, un-invested kind of person? Probably. Or maybe it goes along with my curse/blessing of being able to see celebrity faces in normal people all the time. It’s fun, but doesn’t let me see the actual person. But seriously, if you are walking into a concert and you see a guy that looks just like James Franco…are you going to wonder about the guy standing there with the face? Or are you going to be thinking about James Franco and Spiderman and all that awesomeness? That’s where the curse comes in. I think it is just because I have the settings for my life wrong. 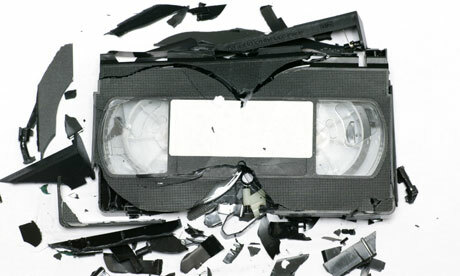 Remember back in the day when we had VHS recorders and we could record at different speeds? It was a way to get three movies on a tape instead of just one. I think I set my life on that fast record a long time ago and forgot how to set it back to normal. Its not a totally bad thing, I’m getting a lot done…I just don’t remember half of it. Oh well, life goes on….or you die. Cause I said so. This entry was posted in Beckie and tagged black and yellow, celebrities, faces, friends, James Franco, loss, love, memory, movies, names, spiderman, VHS tapes. Bookmark the permalink. It’s like being in my own mind. That’s why we get along so well Deb! This sounds oddly familiar…we must be related.